Months after the Waterless Flood pandemic has wiped out most of humanity, Toby and Ren have rescued their friend Amanda from the vicious Painballers. They return to the MaddAddamite cob house, newly fortified against man and giant pigoon alike. Accompanying them are the Crakers, the gentle, quasi-human species engineered by the brilliant but deceased Crake. Their reluctant prophet, Snowman-the-Jimmy, is recovering from a debilitating fever, so it's left to Toby to preach the Craker theology, with Crake as Creator. quite amazing story telling, hard to stop. The performance was incredible, but especially the ending which brought me to tears. 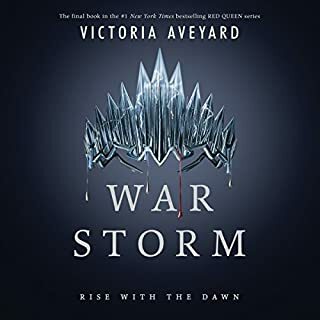 I've never felt so emotionally involved in an audio book before and have been glued to it for days. 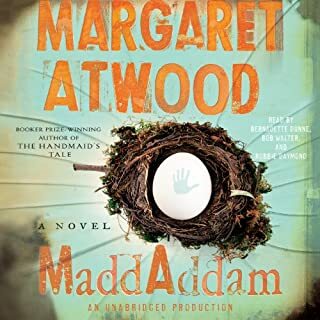 Margaret Atwood is brilliant and the readers really brought the story to life. Hearing all the voices, you develop a relationship with the characters. Simply amazing.